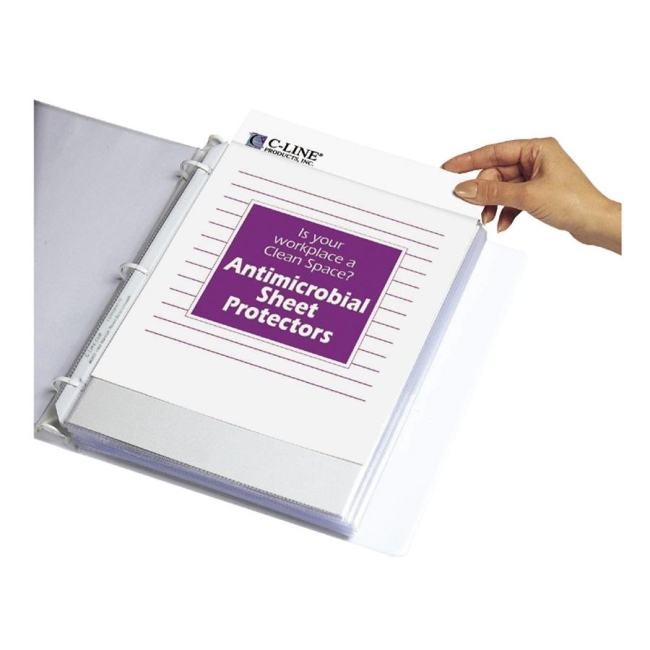 Heavyweight sheet protectors feature built-in antimicrobial protection that prevents the growth of bacteria, yeasts, molds, and fungi for the life of the sheet protector. This antimicrobial technology is safe for humans and is EPA-registered and FDA-listed for water and food contact. Three-hole punched so no sheet punching is necessary for you to file documents in three-ring binders. Archival-quality polypropylene material will not lift print from inserts.